Nearly one million Londoners are being targeted by a campaign aimed at taking unwanted household items, refurbishing them and giving them a new home. The London Re-use Network (LRN) has announced that it will target five boroughs - Lambeth, Kensington & Chelsea, Hammersmith & Fulham, Wandsworth, and the City of London - with information aimed at boosting the amount of furniture and white goods donated for re-use, diverting good quality material away from landfill or incineration. 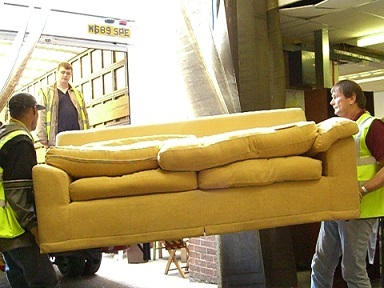 LRN uses refurbished items to pass on to low income, recently housed families at low cost so that they can turn their new flat or house into a comfortable home. Re-use also helps the Network provide volunteering and training opportunities in retail, administration, and waste management, helping people gain the skills they need to get back into the job market. It extends the life of an item, reducing CO2 emissions, while minimising the need to use up more raw materials. And it means donors can be sure that none of their items will be fly-tipped. The campaign, supported by ?55,000 from the capital's waste chiefs at the London Waste and Recycling Board (LWARB) - channelled through WRAP, the national waste minimisation body - will feature leaflets, posters, online and social media marketing, as well as liveried vehicles and articles in borough magazines for residents. Callers to a special hotline number - 020 3142 8506 - can arrange collection of unwanted household items from inside their own homes to prevent them getting damaged by the weather. Items which can be collected include beds, sofas, tables and chairs, washing machines, cookers, fridges, and bicycles.